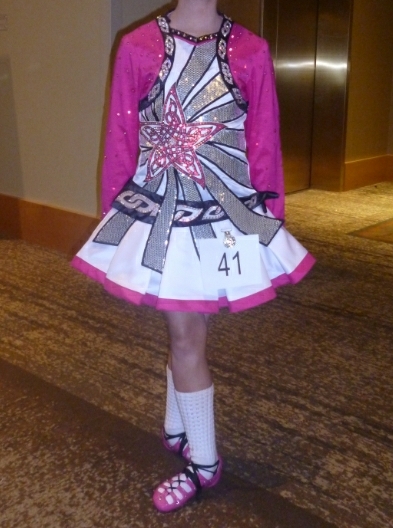 Sparkly bright fuchsia, white and black solo worn by petite U11 dancer. It is not even a year old. We are only selling due to a growth spurt. 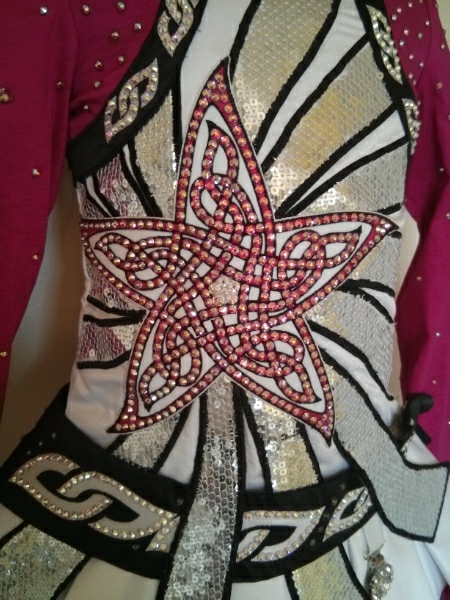 The bodice and sleeves are fully lined. 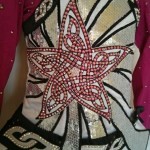 Adorned with nearly 10 gross genuine Swarovski 16ss AB crystals. Fuchsia netting on underside of skirt for fun color when skirt kicks up. 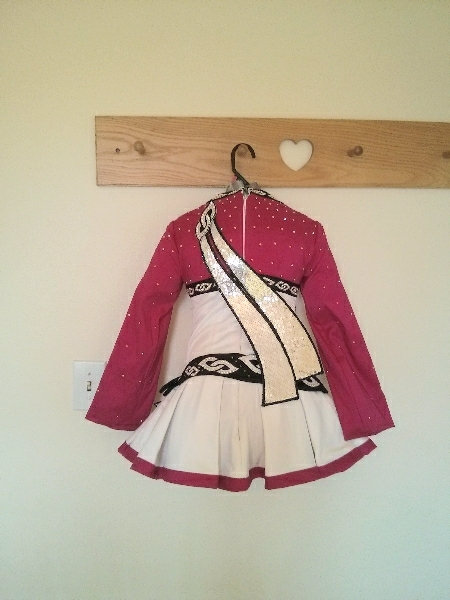 Will include striped kick pants, pink flower hair clip, extra fabric, pink bow, and sleeve cuffs (we didn’t use them because daughter didn’t like them). All measurements are of the dress lying flat. 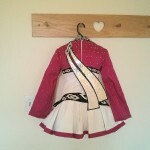 There is room for let out in the bodice on the sides and at the zipper but no let down room. Asking Price: $US700 or reasonable offer. Shipping costs are included for my own country, overseas shipping is extra. Will accept returns and refund the cost of the dress, buyer to pay all shipping costs.